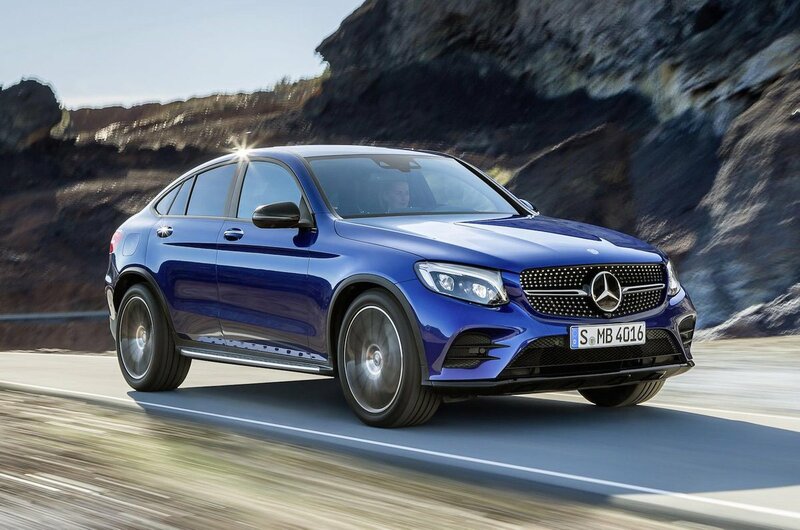 Mercedes-Benz GLC Coupé Running Costs, MPG, Economy, Reliability, Safety | What Car? Both four-cylinder diesels emit the same amount of CO2, despite their different power outputs, which is smaller than the six-cylinder-only diesel Macan but very slightly worse than the equivalent X4. The six-cylinder diesel GLC Coupé emits more CO2 and uses more fuel, and hence will cost more to run privately through work, although it is slightly cleaner than the equivalent BMW and Porsche. This GLC Coupé doesn’t have a predecessor to gauge reliability from, but Mercedes as a brand finished a disappointing 32 out of 37 manufacturers in our most recent reliability survey. At least the 2.1-litre diesel engine all models are fitted with is well tried and tested – it’s been around for years after all. All cars come with a three-year/unlimited-mileage warranty and three years of breakdown cover, too, which is similar to what most rivals get. There shouldn't be much need to attack the options list. Mercedes' smaller-screened Garmin-based sat-nav infotainment system, Bluetooth, leather seats, reversing camera, climate control, an electronic tailgate and heated front seats are standard on all GLC Coupés. All models also come with a collision prevention system that can automatically apply the brakes to help stop you running into the back of the vehicle in front. There’s also a tyre pressure-monitoring system to alert you early if you lose pressure in your tyres. All editions get seven airbags and a system that can detect if you’re getting drowsy on a long journeys, too.